Posted: Monday, April 10, 2017. 3:30 pm CST. 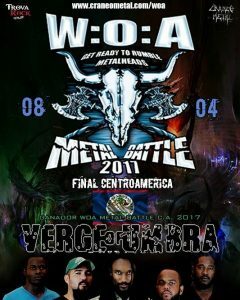 By BBN Staff: According to NacionMetal.net, Verge of Umbra, a Belizean Metal Group won the Central American metal competition on Saturday night in Guatemala City. Verge of Umbra competed with bands from Costa Rica, El Salvador, Honduras, Guatemala and Panama. 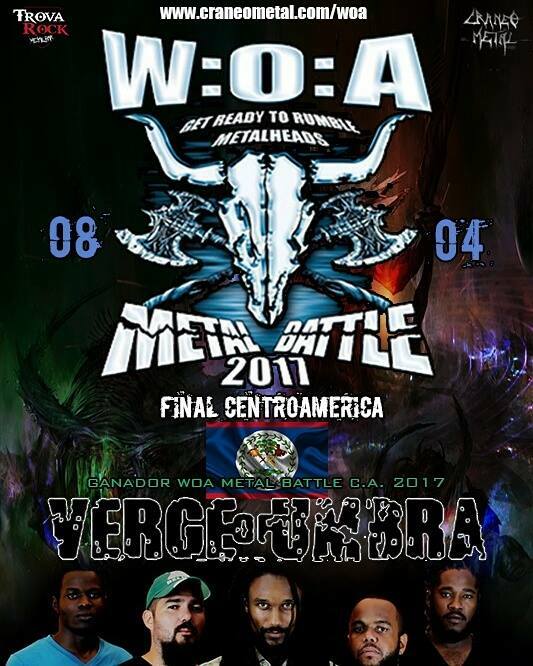 The band will now represent Central America at Wacken Open Air 2017, a summer open-air heavy metal music festival. It takes place annually in the small village of Wacken in Schleswig-Holstein, northern Germany. Annually, about 86,000 metal and hard rock music fans gather for the grand concert. BBN congratulates Verge of Umbra. Wonderful turn up for Belize. New voice for a suppressed people. Turn it up people of Belize.